The vertebral disc is a jelly like substance that sits between each vertebrae or bone segment of the spine. Its main function is to act as a shock absorber. It also holds the vertebrae together and allows for slight motion. When this jelly like substance pushes out through a crack in the tough exterior, it is called a herniated disc. Other common names people use are bulging disc, slipped disc and ruptured disc. 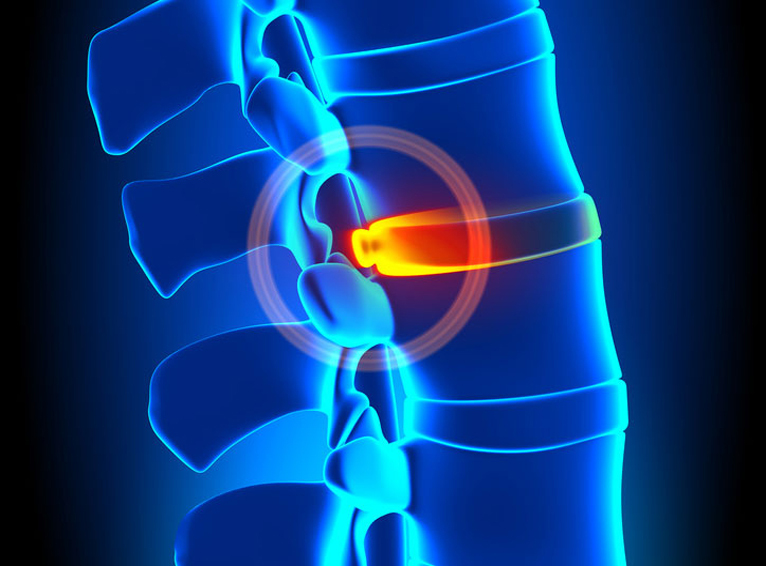 While disc herniations can be caused by some sort of sudden trauma to the body, it typically makes itself known with spontaneous pain even though the problem has been forming for years. The gradual wear and tear on the discs over time is called disc degeneration. As we age, our spinal discs lose some of their water content, which makes them less flexible and more prone to tearing or rupturing with even the slightest strain or twist. Many people have disc herniations, but are pain free. They may show up as an incidental finding on a spinal image when addressing a different issue. When the disc herniation is the cause of the pain, symptoms often appear as pain, tingling, and numbness that radiates along the pathway of the nerve all the way from the neck to arm to hand, or low back to leg to foot. The muscles affected by the pinched nerves can also begin to weaken, making it difficult to walk without limping or hold and lift objects,depending on the area of the disc herniation.